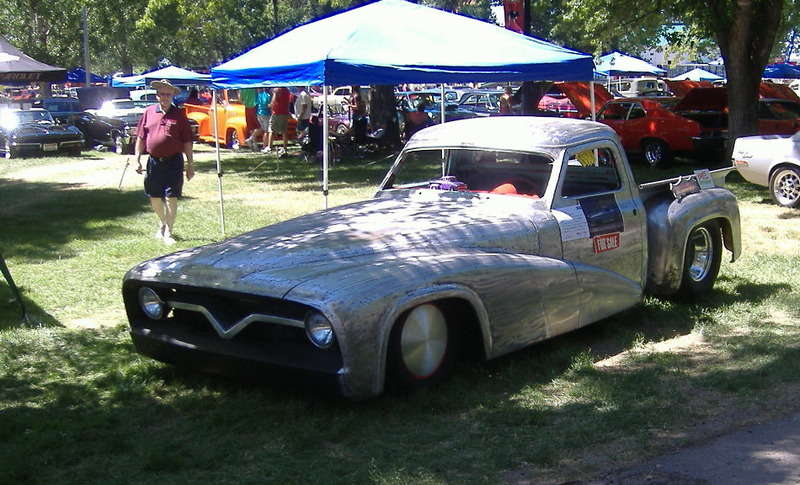 I saw this custom truck at a local car show two years ago. It has had some amazing metal work done to it. It appears to be loosely based on a 1956 Ford. 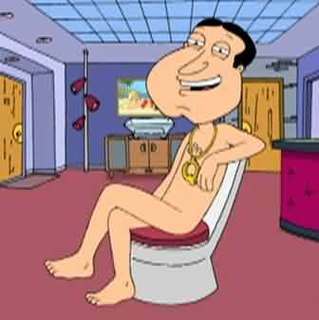 All I could think of was that it should be named Quagmire. Click it for another photo. The fab work is extensive. The hood has been stretched, the bed has been shortened, the cab has been chopped, and the fenders have been extended through the doors. Unfortunately, it all adds up to a cartoon character. 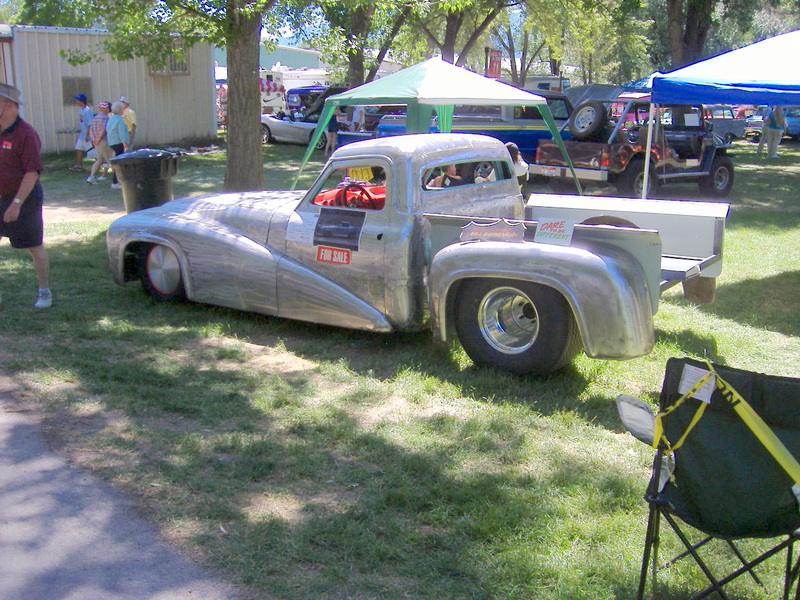 This entry was posted in 1950s, Custom, Uncategorized and tagged Chopped Ford, Custom Ford f150, Family Guy, Quagmire. Bookmark the permalink. The only reason to have a hood that long is to house either a straight-8 or a V12.